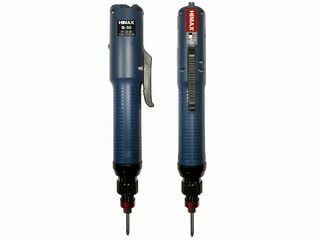 Large torque range, suitable for various tasks. Modularized design, easy to maintain. 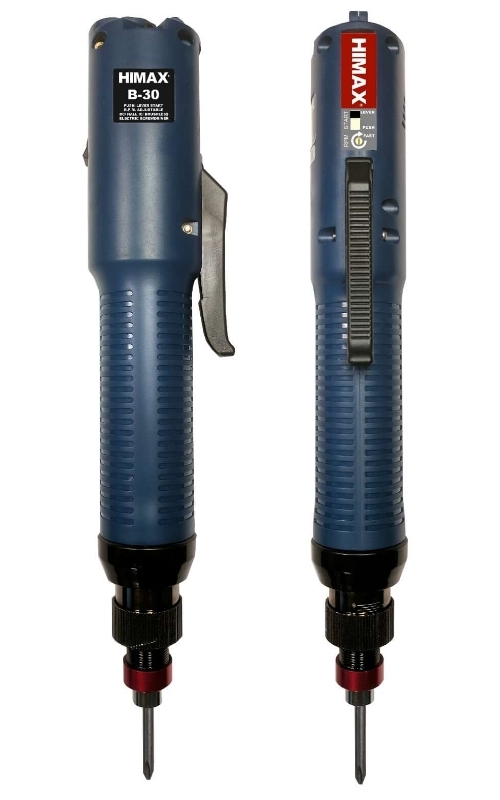 ESD body frame with better ESD effect. No need to change carbon brush, economic and environmentally friendly. 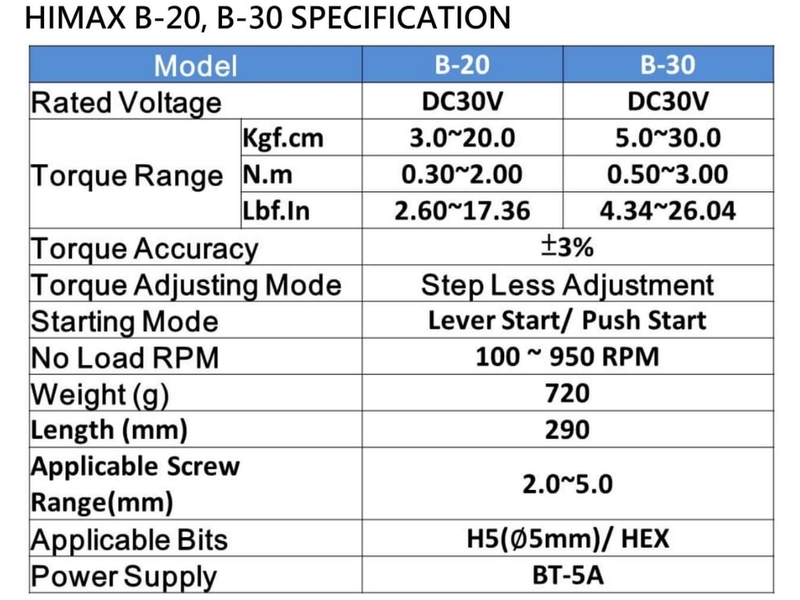 The switch mode of HIMAX B-20, B-30 can be freely switched between lever start & push start, makes it more flexible and adapt to every working environment. When torque>20Kgf-cm, please use lower RPM for safety. 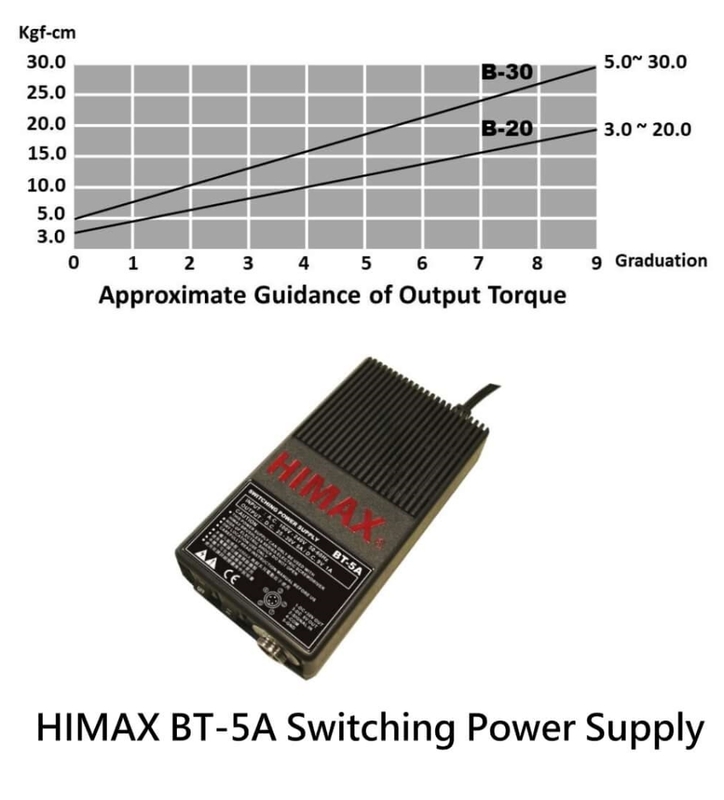 HIMAX B-20, B-30 with BT-5A power supply can connect with STC-02 screw counter to use and increase the management efficiency.